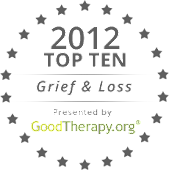 I’m currently researching and interviewing people for books in the Friend Grief series. Many of you have stories about grieving a friend, stories that are important – not just to you, but to others. Your experience can help other people who are struggling with their own grief, often in private because those around them don’t understand. You’re active duty military or a veteran and a comrade died. You’re a first responder and one of your co-workers died. You live in a religious community (convent, monastery, etc.) and one of your members died. A friend of yours died on 9/11 (you don’t have to be a co-worker or survivor of the attacks). A friend you worked with (recent or in the past) died. You did something very specific in your friend’s memory: started a nonprofit, made a donation, carried on their work or made changes in your own life. You were part of a group of friends that either strengthened or fell apart after the death of one of them. You sought counseling after a friend died. Did you find appropriate counseling or not? If you fit any of these descriptions, I’d love to hear from you. I can email you some questions to answer, or we can talk/chat online. You can write it down yourself in your own way. All responses will be considered for inclusion in my books, but you are always allowed to respond anonymously. The first book in the Friend Grief series, Friend Grief and Anger: When Your Friend Dies and No One Gives A Damn, will be out in all ebook formats shortly; print version later this month. The second book, Friend Grief and AIDS: Thirty Years of Burying Our Friends, will be published next month. Watch the “Books” page for purchasing information as well as upcoming book signings. And thank you in advance to anyone willing to share their stories with me.